The Kremlin-controlled Kyiv Court in the occupied Crimea has chosen a measure of restraint for the Crimean Tatar activist Nariman Memedeminov, the public association Crimean Solidarity reported in Facebook. “Judge M.N. Belousov extended the period of detention of Nariman Memedeminov for 1 month and 24 days," reads the report. Only the spouse and a close relative were allowed to attend the "court" session. “Nariman's sister, who is pregnant, had to stay in the corridor. Earlier, on March 22, human rights activists and journalists drafted a statement demanding that the so-called authorities of the occupied Crimea and the Russian Federation release Nariman Memedeminov. 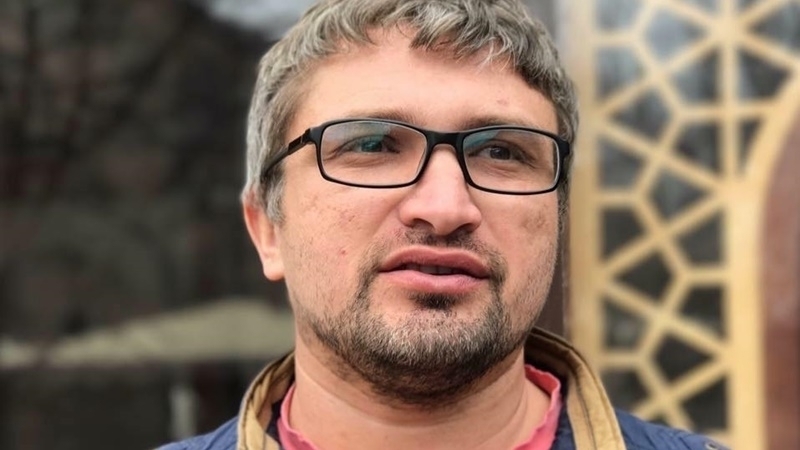 Activists of the public association Crimean Solidarity are calling to participate in the flashmob in support of Nariman Memedeminov, as the FSB in the occupied Crimea filed a case against the Crimean Tatar activist. Memedeminov is suspected of "public calls for terrorist activities". In the morning of March 22, in the village of Kholmovka in the Bakhchsarai district of the Occupied Crimea, house of Nariman Memedeminov was searched. Security officials cordoned off not only the house of the activist, but the whole street, and after the tough search, they took Memedeminov to Simferopol without leaving protocol. Previously, the security forces already searched the house of the Crimean Tatar on February 11, 2016. Then the activist was fined 10 thousand rubles.